There are 26 posts tagged outsourcing (this is page 1 of 13). Who Benefits from the Privatisation of Public Sector Interpreting? Three recent blog posts from Aisha Maniar, a human rights activist and writer, are absolutely brilliant. They’re informative, comprehensive and offer us an insight into the whole history of the pitfalls of privatising interpreting services and the government’s incessant drive to do so. For BSL/English Interpreters it is so important that we understand the context and politics of what happens to the contracts we are booked under, that we join a union (NUBSLI) and support our counterparts: spoken language interpreters. I re-blog the articles here for anyone who may not have seen them yet. They really are worthy of your time, please read. Reblogged from NUBSLI’s website. 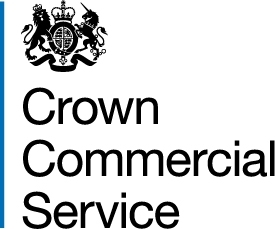 This statement was published on 28th April 2016 shortly after the Crown Commercial Service send out the contract notice. Since September 2014, NUBSLI has been in negotiation with the Crown Commercial Service (CCS) in an attempt to improve the initial drafts of a national framework agreement for Language Services (interpreting and translation). We highlighted many concerns, most notably a lack of standards and safeguards for users of BSL/English interpreting services and the waste of public funds that would occur were this framework to go ahead. In February 2015, NUBSLI launched the #ScrapTheFramework campaign, due to ongoing concerns about this large-scale privatisation of our profession and the damage it would cause to interpreters and the Deaf community we serve. The framework commenced on 22nd April for up to four years and the suppliers were announced this week on the Government’s website. BSL/English interpreting and other services for Deaf people comes under Lot 4, and is split into regions a-e, which cover Greater London including Overseas, Southern England, Midlands and East of England, North of England and, lastly, Scotland and Northern Ireland. A reduced amount of choice and control for Deaf people. Poorer administration – where large agencies subcontract to smaller agencies, mistakes and wastage are more likely in the booking of professionals. Poorer access – where Deaf people are provided with inappropriately qualified or experienced people, this has an impact on service delivery. Poorer accountability – It is more difficult for Deaf people to complain about poor services. Downward pressure on interpreters’ fees and terms and conditions to unsustainable levels. Inefficient use of public funds on administration rather than access. Large scale privatisation further puts at risk the ability for smaller agencies, with good local knowledge and relationships, to continue. Despite a regional structure, none of the suppliers are local agencies. NUBSLI wish to make it clear that BSL/English interpreters are not prepared to jeopardise the sustainability of their profession by accepting the diminished fees, and terms and conditions set out in the framework. These are not fitting for a workforce of extensively trained and qualified freelancers, and clearly go against market rates falling short of the industry standard. This was made clear to the CCS who have regrettably overlooked the counsel of the profession. We have already seen the boycott of one NHS contract by interpreters in the South West. Interpreters are increasingly prepared to take a similar position with other contracts which do not meet our basic rates of pay and terms. We will be continuing to campaign against the framework and will work with individual commissioners wherever possible. If you are a BSL/English interpreter and are not yet a member of NUBSLI, we urge you to join. We are stronger together.